‘What is it?’ implies I don’t recognise what it is or it implies his picture should be a thing not an experience or a feeling but an object and one I can understand. Children either may consider you should already know what it is or may have created something that just is rather than an object. Inviting them to TELL you about their picture insteasd invites them to share the process, emotion and experience of their art not just describing a ‘thing’ they have created. Give it a go! Last week I waent ot a round table with Professor Angela Anning an expert and author on children , child development and art. 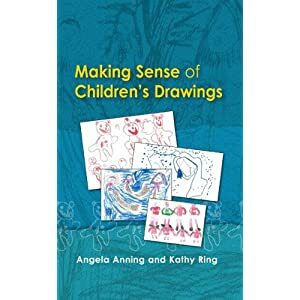 Another great tip she shared was that at age 6 or 7 children become self concious and if they cannot draw something accurately often perceive they are not ‘good’ at art. At this point she suggests ensuring the see a lot of different art from Picassos cubes to the Fauvists use of birght colour to an impressionsistic sunset. This way children will know there are many ways to be an artist and photographic like copying is but one way. The roundtable I attended was spnosored by Bic who know a thing or two about kids and art and the new products they were launching clearly show this. Let me introduce you to this awesome new range. Water brush over your pencils to turn them into paint! These are untra washable with vibrant colours and your children can make as may dots as they like these nibs are super strong!! Easy to sharpen and not made of wood so clean breaks, no jagged edges and a new pencil! Twistable colouring crayons, long lasting, very hard to snap, clean hands too! And these felt tips…you can leave the caps off for 3 MONTHS and they won’t dry out…WOW! Now these is are a great budget buy because they will last. Cheapy felt tips last mere weeks no matter how much you badger kids to replace lids and not press too hard. These withstand kids and allow them to fous instead on cretaing art. Each BIC Kids product retails between 33-£5 and are excllent quality innovative products. My children loved them. There are many more in the Bic Kids range each with excellent features. Bic gave me tea at the Ritz! and some colouring products. my view are as always my own! Putting your kids’ artwork up, esp in frames even if cheapo ones, or paper ones shows that you value what they create – my kids, and their friends, are always so happy if I put up their creations. ps If you don’t know the books by MaryAnn Kohl I think you should look them out – they’re US but full of great ideas. Artful Parent http://www.artfulparent.typepad.com/ is a big fan. Thanks Zoe I love it when people share top ideas! My mum had a heart I made her up on the wall for about 30 years. Its back with me now. That meant so much to me! What a fabulous post Becky! I hold my hands up – I’m guilty of asking ‘What’s that?’. Will try and follow this advice next time and see where it leads. Thank you. Love the sound of some of those products too! Great post Becky. Great idea to invite your child to tell you about a picture rather than ask them what it is – because you should know. I generally have no idea what my boys draw so I will ask them to describe it next time. Well done Becky! The ‘show me tell me’ works so much better than the ‘what’s that’! I’m glad it worked so well for you! AND…what a FABULOUS picture!